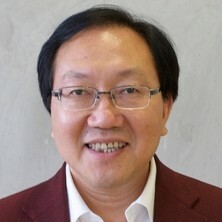 Tianzi Jiang is Professor of Queensland Brain Institute, University of Queensland and Professor of Institute Automation of Chinese Academy of Sciences (CASIA). He is the director of the Brainnetome Center, and Beijing Key Laboratory of Brainnetome, the Institute of Automation of the Chinese Academy of Sciences, the core member of CAS Center for Excellence in Brain Science and Intelligence Technology. His research interests include neuroimaging, brainnetome, imaging genetics, and their clinical applications in brain disorders and development. His research interests include neuroimaging, brainnetome, imaging genetics, and their clinical applications in brain disorders. He is the author or co-author of over 240 reviewed journal papers in these fields and the co-editor of six issues of the Lecture Notes in Computer Sciences. He is Associate Editor of IEEE Transactions on Cognitive and Developmental Systems, Frontiers in Neuroinformatics, and Neuroscience Bulletin and Section Editor of BMC Neuroscience. Convergent evidence has shown that brain functions can manifest on brain networks on different scales and brain malfunctions caused with most psychiatric disorders are faulty brain networks. In order to understand how the brain works and the pathophysiological mechanism of psychiatric disorders, it is necessary to integrate the multi-level network features obtained with various functional and anatomical brain imaging technologies on different scales. We have proposed a new concept of “Brainnetome” (www.brainnetome.org) to represent such integration framework. We define the essential components of brainnetome as identification of brain networks. (connectome), dynamics and characteristics of brain networks, network manifestation of functions and malfunctions of the brain, genetic basis of brain networks, and simulating and modeling for the Brainnetome. Our laboratory here closely collaborates with researchers of Brainnetome Center in Beijing and its Branch at the University of Electronic Science and Technology in Chengdu, to study basic theory, methodologies and algorithms, platform of Brainnetome at multiple scales, and their applications in neurological and psychiatric diseases. It envisions that Brainnetome will become an emerging co-frontier of brain imaging, information technology, neurology and psychiatry. Some long-standing issues in neuropsychiatry may be solved by combining Brainnetome with genome. Authors' response to "Maternal age as a potential explanation of the role of the L allele of the serotonin transporter gene in anxiety and depression in Asians"
Wang, Fei, Jiang, Tianzi, Sun, Zhiguo, Teng, Siew-leng, Luo, Xingguang, Zhu, Zhongjun, Zang, Yufeng, Zhang, Handi, Yue, Weihua, Qu, Mei, Lu, Tianlan, Hong, Nan, Huang, Haiyan, Blumberg, Hilary P. and Zhang, Dai (2009) Neuregulin 1 genetic variation and anterior cingulum integrity in patients with schizophrenia and healthy controls. Journal of Psychiatry and Neuroscience, 34 3: 181-186. Wang, J., Jiang, T., Cao, Q. and Wang, Y. (2007) Characterizing anatomic differences in boys with attention-deficit/hyperactivity disorder with the use of deformation-based morphometry. American Journal of Neuroradiology, 28 3: 543-547. Lin, Fuchun, Yu, Chunshui, Jiang, Tianzi, Li, Kuncheng and Chan, Piu (2007) Diffusion tensor tractography-based group mapping of the pyramidal tract in relapsing-remitting multiple sclerosis patients. American Journal of Neuroradiology, 28 2: 278-282. Yang, Yong, Cui, Yue, Xu, Kaibing, Liu, Bing, Song, Ming, Chen, Jun, Wang, Huiling, Chen, Yunchun, Guo, Hua, Li, Peng, Lu, Lin, Lv, Luxian, Wan, Ping, Wang, Huaning, Yan, Hao, Yan, Jun, Zhang, Hongxing, Zhang, Dai and Jiang, Tianzi (2017). Distributed functional connectivity impairment in schizophrenia: a multi-site study. In: 2nd IET International Conference on Biomedical Image and Signal Processing (ICBISP 2017), Wuhan, China, (). 13-14 May 2017.